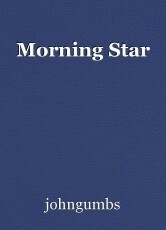 Every one of us has a morning star. You just have to find it. A short poem. I see love sparkling bright. To bring me into love's light. With you I can go far. Making love, and not war.